How much do Nationals suites cost? 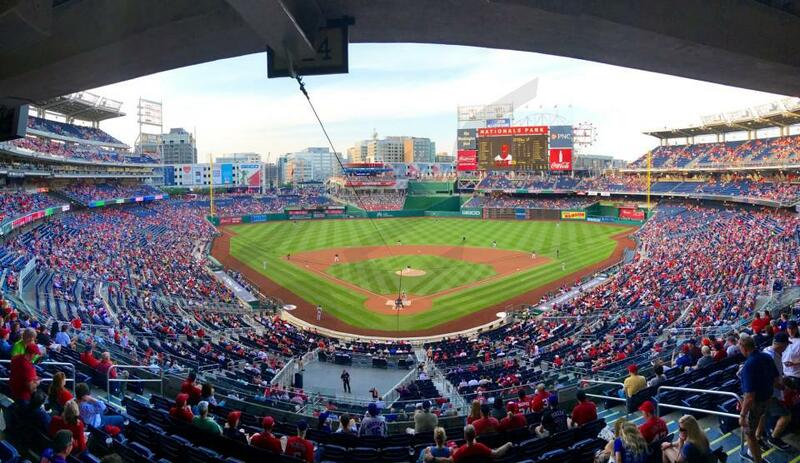 Washington Nationals suite prices can range from $4,000 - $6,000. Prices vary based on day of game, opponent, and the location of the suite in Nationals Park. Luxury suite prices for concerts and other events at Nationals Park can vary widely based on the type of event. Games versus the Baltimore Orioles or the Chicago Cubs will be the most expensive. Jefferson suites at Nationals Park are located around the infield on the Jefferson Suite Level. Included will be 17 tickets with an option to purchase up to 4 additional suite tickets. Also included will be 4 VIP parking passes. A Washington Nationals suite features a private restroom, premium in-suite catering options, interior/exterior seating, HDTVs, Wi-Fi and a dedicated suite attendant. A Jefferson suite offers great location for a smaller party. Washington suites at Nationals Park are located near home plate on the lower level. Included will be 23 tickets with an option to purchase up to 6 additional suite tickets. Also included will be 4 VIP parking passes. A Washington Nationals suite features a private restroom, premium in-suite catering options, interior/exterior seating, HDTVs, Wi-Fi and a dedicated suite attendant. Lincoln suites at Nationals Park are located around the infield. Lincoln suites are larger than Jefferson suites as they include 16 tickets with an option to purchase up to 8 additional suite tickets. Also included will be 4 VIP parking passes. A Washington Nationals suite features a private restroom, premium in-suite catering options, interior/exterior seating, HDTVs, Wi-Fi and a dedicated suite attendant. Party suites at Nationals Park are located down the third baseline in left field. Party suites for a Nationals game will include 24 tickets with an option to purchase up to 8 additional suite tickets. Also included will be 4 VIP parking passes. A Washington Nationals suite features a private restroom, premium in-suite catering options, interior/exterior seating, HDTVs, Wi-Fi and a dedicated suite attendant. Party suites are a great option for a larger group. 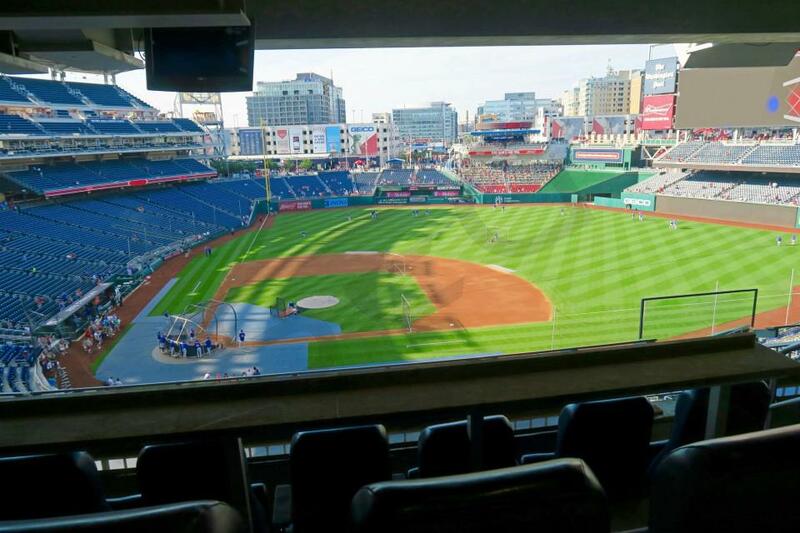 Suites at Nationals Park vary in size and configuration based on suite type. Jefferson Suites, located on the main club level concourse (2nd tier of suites), are the most popular rental option. Jefferson Suites typically come with 16-21 tickets. Lincoln Suites are located one level lower and these suites are slightly bigger in size, accommodating groups of 24. Washington Suites are on the lowest suite level (just above the lower bowl) and have a capacity of 29 guests. For larger groups, Party Suites are located on the 3rd baseline. Washington Nationals suite prices typically range from $4,000-$7,000 depending on opponent, day of the week, and suite location. 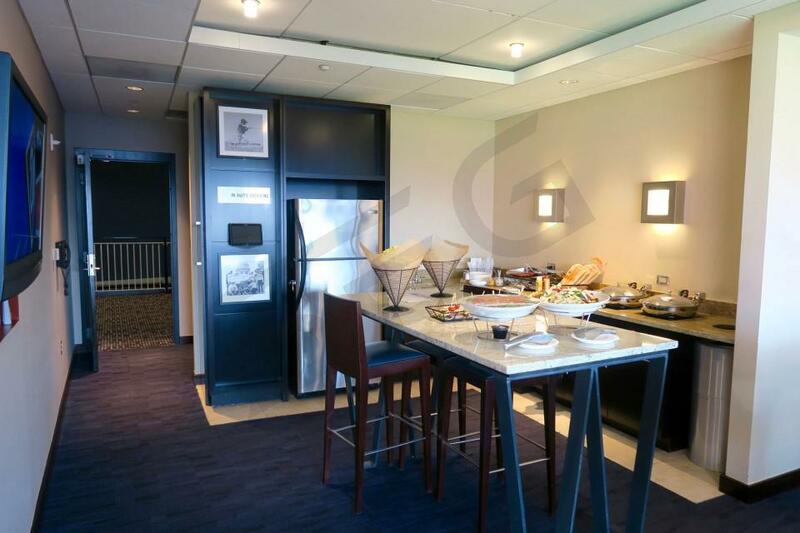 Some Nationals suites come with a catering package included – these suites typically cost $6,000 and above regardless of the game. Games versus the Baltimore Orioles, Los Angeles Dodgers and the Chicago Cubs will be priced at a premium. 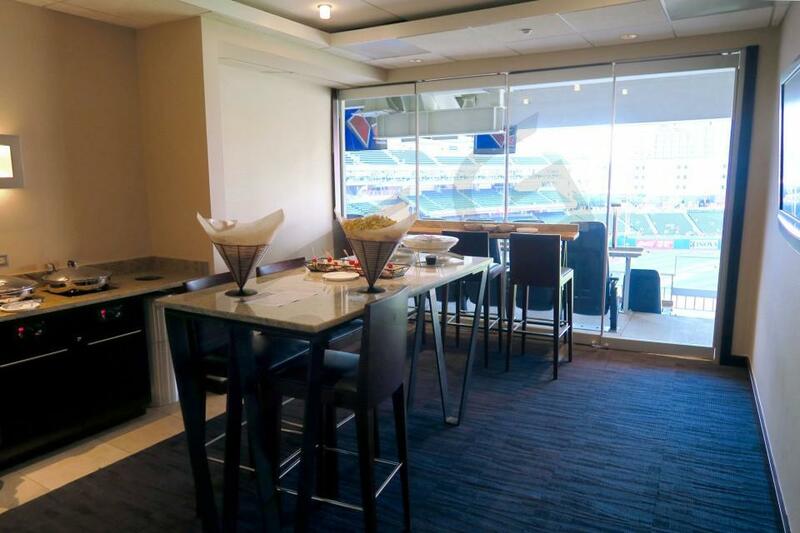 In-suite catering is available for all suites at Nationals Park. The menu includes a wide range of food and beverage options provided by Levy Restaurants. For suite rentals that do not include catering, SEG recommends budgeting $100 per person to catering your suite. There is no dress code on suite level at Nationals Park. All suites are climate-controlled. Bags must not exceed 16”x16”x8.” Read the full policy here. Children 2 years of age and under are not required to have a ticket to enter Nationals Park. If attending without a ticket, they must sit on the lap of an accompanying adult. Most VIP parking passes that accompany your suite will be valid in the C Garage or GEICO Garage. These garages will open 3 hours prior to the start of each game. The Center Field Gate will open 2 hours prior to first pitch. All other gates, including the main VIP entrance, will open 90 minutes prior to first pitch. The designated VIP Entrance is located behind home plate on South Capitol Street SE. The 2019 Washington Nationals will be without Bryce Harper but don’t sleep on the Nationals just yet. The Nationals have strengthened their pitching staff and have one of the brightest young stars in baseball, Juan Soto. There’s no reason to believe the Nationals can’t get to the World Series in 2019. During the offseason, the Nationals signed pitcher Patrick Corbin to give the Nats one of the best front 3 starters in the league. Corbin will slide into the third spot of the rotation behind Max Scherzer and Stephen Strasburg. The lineup even without Harper stands as one of the best in the NL East. Trea Turner is one of the National League’s best all around players, especially when he gets on the base path. Speaking of being able to steal, Victor Robles is expected to get a full shot as a starter and is one of the fastest players in baseball. We mentioned Soto, who at 19-years-old made the leap into the big leagues and didn’t disappoint. Now at 20, Soto is being mentioned as one of the best hitters in baseball being compared to stars like Mookie Betts and J.D. Martinez. Anthony Rendon and Ryan Zimmerman, the two clubhouse veterans, can both hit for power and average. With the addition of Brian Dozier, the Nationals bring in more power to substitute for the loss of Harper. Experience Nationals baseball from a suite at Nationals Park is going to provide your group with the best experience possible. 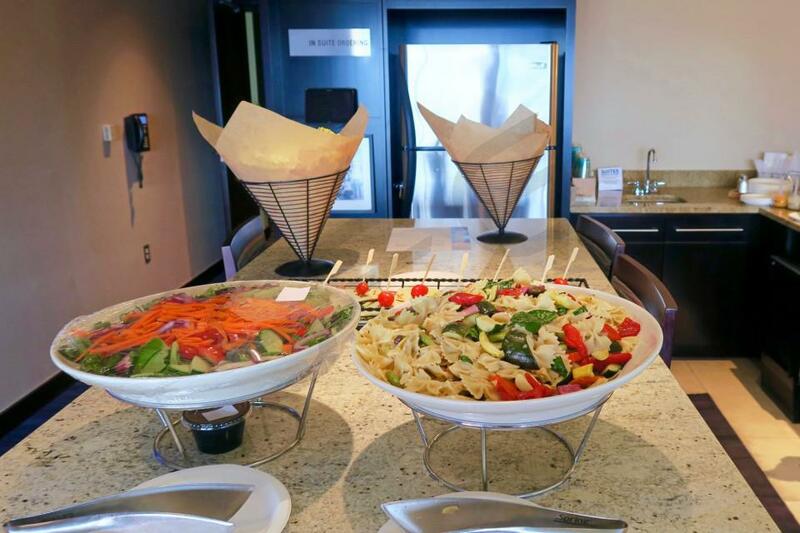 With the whole group being able to stay together in a suite, you can have the luxury box completely catered with your favorite food and drinks. The Nationals offer three different suite levels at Nationals Park: Washington Suites, Lincoln Suites and Jefferson Suites. Some of the suites will offer all-inclusive options for Nationals games. Every guest with a suite tickets will get to enter Nationals Park through the VIP suite entry and get VIP parking passes. The Washington Nationals will look to win their third consecutive National League East crown in 2018. Dave Martinez will be the man in charge, beginning his first season as manager of the Washington Nationals. With a loaded offense and electric pitching staff, the Nationals are once again expected to compete for a World Series championship in 2018. Bryce Harper enters his seventh year in the MLB, in what may be his last in the nation’s capital. His impending free agency figures to be a major storyline following the Nationals all year long. At age 25, Harper has already won an MVP award and has been to the All-Star Game five times. Harper will look to continue to lead a dominant Washington lineup that finished 5th in runs and 4th in hits last year. Second baseman Daniel Murphy has emerged as an elite offensive force the past two seasons, and the return of outfielder Adam Eaton, who missed nearly all of last season with a torn ACL, should bolster the offense. Both Ryan Zimmerman and Anthony Rendon put up monster numbers last year, each with a batting average over .300 while hitting 25+ home runs and knocking in 100+ RBI’s. With speedster Trea Turner swiping 45+ bases at the top of the lineup, the Nationals offense truly has no holes. The pitching staff will be led by the elite duo of Max Scherzer and Stephen Strasburg. Scherzer has won three Cy Young awards in the past five seasons, including both 2016 and 2017. His consistent dominance has given the Nationals everything they expected when they signed him to a 7 year, $210 million contract three years ago. With Scherzer and Stephen Strasburg, the Nationals arguably have the best one-two punch in Major League Baseball. Washington has not made it past the National League Division Series despite making the playoffs in four of the past six years. With new manager Dave Martinez at the helm, could 2018 be the year for the Nats? 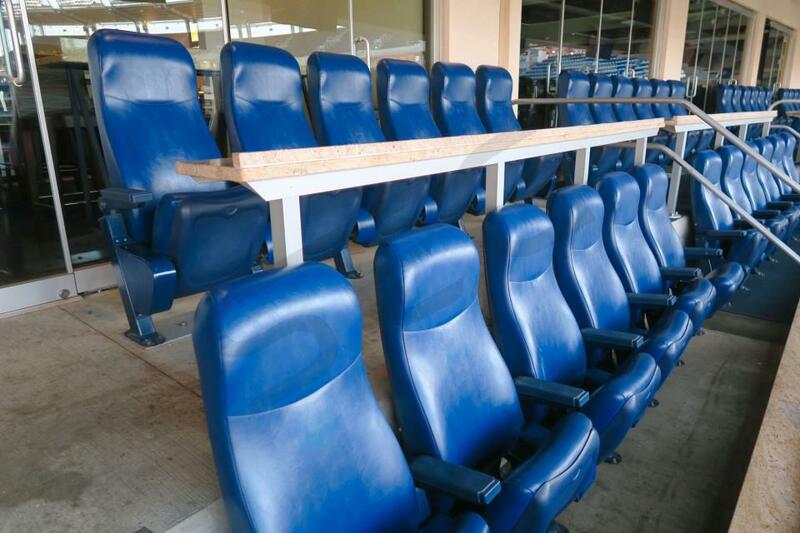 Suites for the Washington Nationals at Nationals Park can accommodate groups as small as 15. 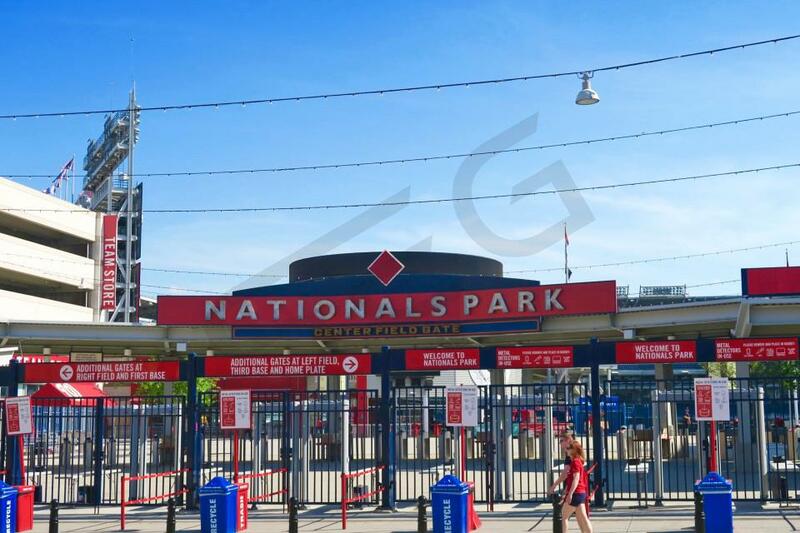 A Nationals suite will feature a private restroom, premium in-suite catering options, interior/exterior seating, HDTVs, Wi-Fi and a dedicated suite attendant. 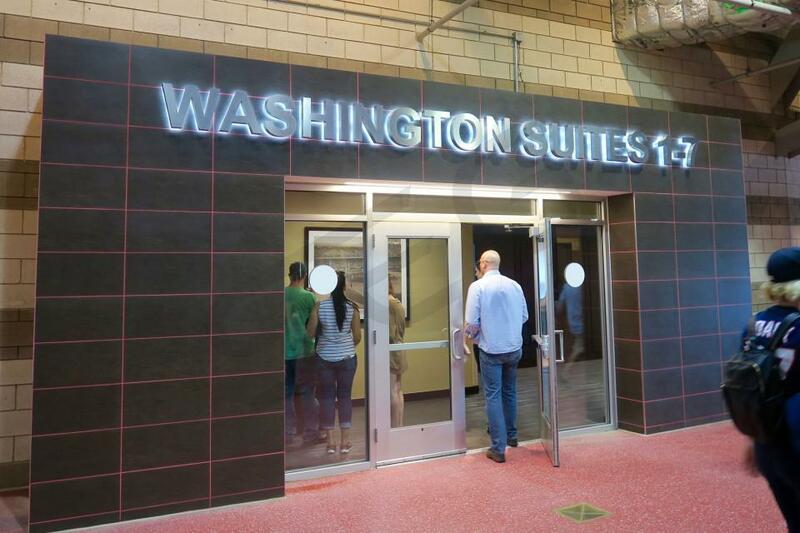 There are three different suite levels in Nationals Park: Washington suites, Lincoln suites and Jefferson suites. Washington suites are the first level followed by Lincoln and then Jefferson. All guests in a Nationals suite will get private VIP entry into Nationals Park. 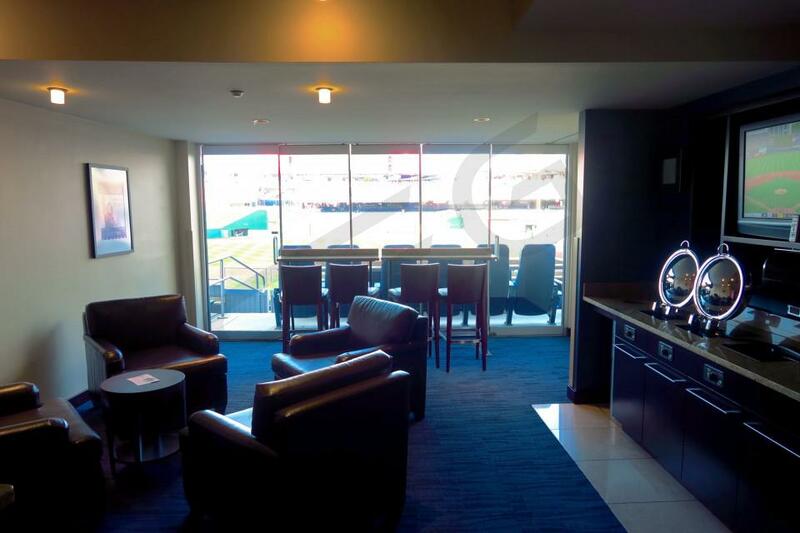 A luxury box at Nationals Park provides the perfect setting for entertaining clients, employees or friends and family. There’s plenty to be excited about when talking about the 2017 Washington Nationals. The Nationals acquired Adam Eaton from the White Sox and Derek Norris from the Padres in the offseason. In addition to those players, the Nationals will get a full year of their budding star, Trea Turner. Turner is expected to lead the team in stolen bases. Turner and Eaton at the top of the lineup will mean a lot of opportunities for their big run producers such as Bryce Harper, Daniel Murphy and Anthony Rendon. Murphy finished second in MVP voting last season. While Harper dropped a bit from his MVP campaign in 2015, Harper remains one of the brightest stars in all of baseball. Rendon is another bat to worry about if you’re an opposing pitcher. Manager Dusty Baker has plenty of pieces to put together a strong lineup. The starting rotation will be led by their two-time Cy Young Award winner, Max Scherzer. Behind Scherzer is Stephen Strasburg. Scherzer and Strasburg are both considered aces and are two of the best pitchers in the National League. The rest of the rotation will round out with Tanner Roark, Joe Ross and Gio Gonzalez. Shawn Kelley is in line to be the Nationals’ closer in 2017. Once again the Washington Nationals are a heavy favorite to contend for a World Series title. The 2016 Nationals will have a new manager in charge, Dusty Baker. Baker replaces Matt Williams in hopes to get the Nationals to play to their potential. To do that, Baker will rely on a very strong pitching staff and an offense led by last year’s MVP, Bryce Harper. Harper hit 42 home runs and drove in 99 RBI a year ago. If the lineup can stay healthy, Harper could have even a bigger year. Anthony Rendon, Jayson Werth and Ryan Zimmerman have all had injury issues in recent seasons. The Nationals also added Ben Revere and Daniel Murphy to this year’s squad. At some point this season, fans are hoping the Nationals call-up rookie Trea Turner to take over shortstop. Turner is considered one of the top prospects in baseball. The Nationals pitching rotation is led by Max Scherzer. Scherzer and Stephen Strasburg form one of the best duos in the National League. Gio Gonzalez, Tanner Roark and Joe Ross round out a very strong rotation. The Nationals also have one of the best pitching prospects waiting for his shot in Lucas Giolito. Giolito is expected to get a call-up this season and could be a future ace for this staff. Closing games this season will be Jonathan Papelbon. Papelbon was acquired last year in a mid-season trade. The Washington Nationals are considered one of the biggest favorites to win the 2015 World Series. The Nationals made the biggest splash in free agency by signing former Cy Young award winner Max Scherzer. Scherzer will join a Nationals team that went on to win 96 games last season. The Nationals manager Matt Williams has arguably the best 5-man pitching rotation in all of Major League Baseball. Scherzer will join Stephen Strasburg, Jordan Zimmerman, Gio Gonzales and Doug Fister. The Nationals batting lineup will also be one of the best in baseball. Their young star, Anthony Rendon will move to third base this season and hit 21 home runs in his first full season. Moving to first base will be Ryan Zimmerman who has battled injuries for most of his recent career. Zimmerman will most likely bat cleanup. Bryce Harper is still just 22 years old and will enter his fourth season in the big leagues. Harper also has had some injuries concerns but the ceiling remains extremely high on his talent. Ian Desmond is one of the best overall shortstops in baseball. Desmond hit 24 home runs and had 91 RBI last year. The Nationals have the talent to go to the World Series but they saw last year what can happen in the playoffs against the would-be San Francisco Giants. The Nationals are a young squad who will be at the top of the NL East for years to come. Thank you for signing up for specials at Nationals Park. Enter your email address below to stay in touch. We'll sign you up for our newsletter, which will inform you of the latest inventory and events at Nationals Park. We promise we will never sell or distribute your information. 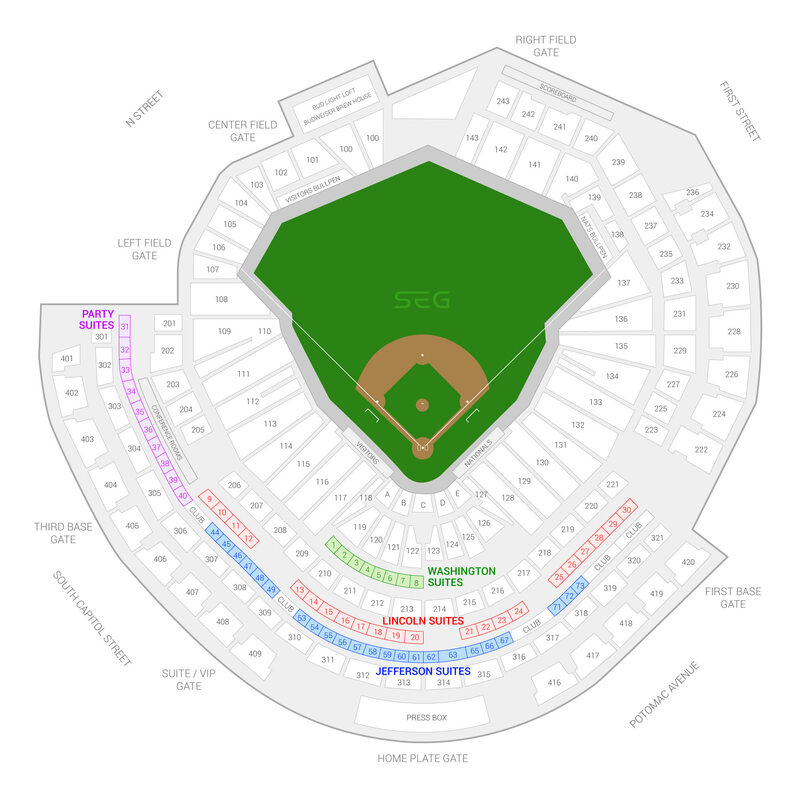 The seating chart below shows where the Washington Nationals suites at Nationals Park are located.